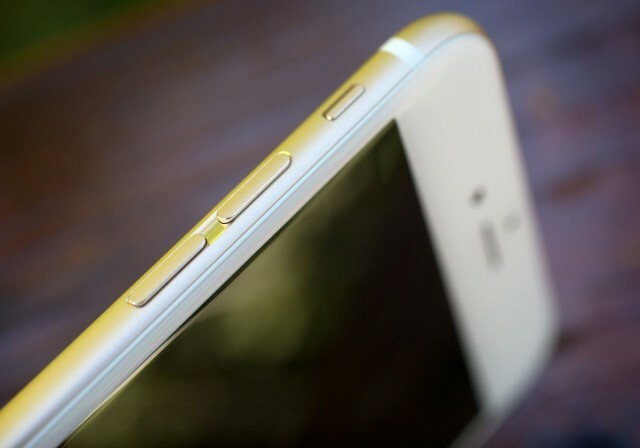 Apple’s been using antenna lines in its smartphones ever since the days of the iPhone 4 and antenna-gate, but a new patent filed by the company could soon make those unsightly lines disappear for good. In a new patent filed last week, Apple has detailed its plan to create a composite material that looks just like the anodized metal iPhone cases are made out of, expect it still allows wireless signals to get through. U.S. Patent #20150167193, titled ‘non-capacitive or radio frequency-transparent materials with anodized metal appearance’ could allow for future iPhones and MacBooks to have a sleek, cleaner look that doesn’t compromise on signal reception. Apple also mentions in the patent description that the new material could be used as a coating on trackpads for the Mac, so that it looks more unified with the rest of the metal enclosure. It could even potentially be used for touchscreens, as well. Whether Apple will actually use the patent still remains to be seen, but with the iPhone 7 rumored to have a home button built into the display, it might be the perfect material to make an iPhone that just looks like one solid hunk of metal. This entry was posted in iRumors and tagged iphone, irumors, iRumorsnow, Patent. Bookmark the permalink. Apple already working on putting a virtual Home button into the iPhone screen.